Designers, below is the Week 21 Update. 10th graders – Family College Meetings begin this week! Make sure to sign up for a time slot with your counselor HERE. 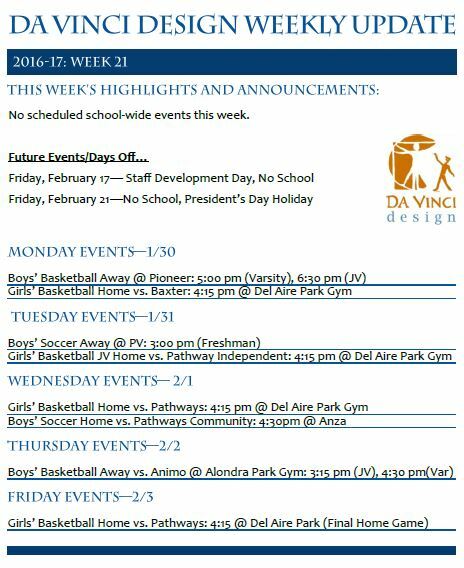 There are no school-wide or special events this week. Support your DV Wolves sports teams in their final games. Have a nice weekend, DVD!